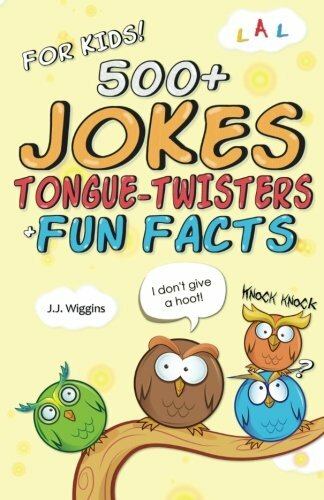 Over 500 jokes for kids, including hundreds of knock-knock jokes, fun facts, and tricky tongue-twisters that will crack up the entire family. This book is perfect for the young comedian and great for family gatherings or those long, boring car rides. A quick way to liven up the mood! – What do you get when you cross a ghost and a tiger? A booger. – Why wasn’t the turkey at Thanksgiving dinner? Because it was already stuffed. Did you know…the founder of Facebook is Mark Zuckerberg and his last name, ‘Zuckerberg’, means ‘sugar mountain’ in German! How funny is that? This book of hilarious jokes is recommended for ages 6 and up.